Birmingham is one of just seven local authorities across the country to have a children's services department deemed to be "inadequate"
The head of a watchdog has revealed there is room for “significant improvement” in beleaguered Birmingham City Council’s children’s services departments. 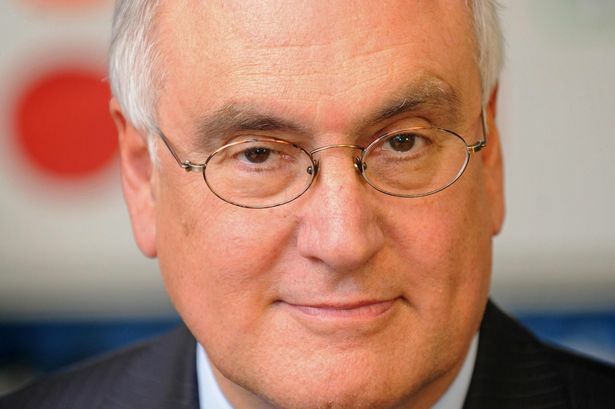 Sir Michael Wilshaw, chief inspector at Ofsted, said youngsters deserved more support after the watchdog published its annual report into the standard of children’s social care in Britain. The report revealed that Birmingham is one of just seven local authorities across the country to have a children’s services department deemed to be “inadequate” – and while some inadequate departments were improving, others were “declining rapidly”. Birmingham’s children services was rated in May last year and has previously been branded “a national disgrace” by the government. Failings by social workers and other child protection staff were highlighted in a series of serious case reviews into the death of children, including Birmingham youngsters Keanu Williams and Khyra Ishaq. Sir Michael added: “Ofsted has raised the bar with robust, in-depth inspections of children’s services and we make no apology for this tougher stance. “Children deserve no less than a good standard support from those charged with caring and protecting them. Meanwhile, Ofsted also revealed it has created a specialist team of inspectors to tackle child sexual exploitation, with inspections designed to see how well police, health and social care staff are working together to tackle the issue. Debbie Jones, Oftsed’s nation director of social care, added: “Successful joint working between local agencies is paramount if children are to be effectively safeguarded. A survey published by Action for Children this week that more than a third of frontline professionals in the West Midlands have felt powerless to intervene in cases of child neglect, with a third saying they lack the necessary time and resources. One in four of frontline professionals surveyed, including social workers, teachers, police, doctors, said reduced funding would make it more difficult to intervene in these cases over the next year. These shocking figures come at a time when more resources are needed more than ever to tackle child neglect. 13 per cent of those surveyed in West Midlands told Action for Children they had seen an increase in such cases over the past year. The number of professionals who took part in the study from the West Midlands was 191.